Over 500 guests, including Prime Minister Tusk, Ministers: of Health Bartosz Arłukowicz and of Labour and Social Policy Władysław Kosiniak-Kamysz attended Lech Walesa’s Birthday party held at Gdansk-Oliwa Abbots’ Palace last Sunday. Poland’s former President turned 70. ‘I can feel a lot on my back: 70 years. I clearly recall that when 20 and told someone was 70, I felt suspicious. I never imagined I would suffer that, too’, Walesa said to journalists when asked what if felt like to be 70. There were politicians, businessmen, lawyers, representatives of culture, sportsmen, clergy, and people of the media among the guests attending the celebration, e.g., Andrzej Celiński, Zbigniew Ćwiąkalski, Andrzej Drzycimski, Archbishop Tadeusz Gocłowski, Archbishop Sławoj Leszek Głódź, Hanna Gronkiewicz-Waltz, Katarzyna and Aleksander Hall, Halina Kunicka, Bogdan Lis, Jan Lityński, Jacek Merkel, Dariusz Michalczewski “Tiger”, Daniel Olbrychski, Małgorzata Potocka, Adam Rotfeld, Jerzy Stępień, Mieczysław Wachowski, and Tomasz Wołek. ‘I do hope that for many years to come my father will continue a mentor to me. In my wishes I envisage some kind of mental scissors that he could use to cut off bonuses of his life and be able to enjoy it. He has really achieved a lot, he has a great family. 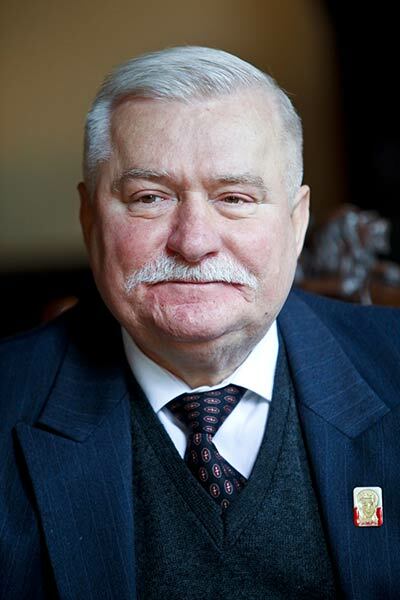 May he not look at the ill-wishers, but at the multitude of people who appreciate what he has accomplished’, is what the Eurodeputy Jarosław, Lech Walesa’s son told journalists. Lech Walesa’s eldest son Bogdan said that his wishes to his father included: ‘good health, patience, love, and understanding for Mum’. ‘First of all I wish him good health, so that he can continue serving Poland. We know that on so many occasions he has been controversial, and this gives a healthy stir to Polish politics.  As long as Lech Walesa is on stage, Poland is spoken about all over the world. I often say to him: <Chief, just like the Holy Father as long as you can manage, you have to play this role in Poland, because we need you while lack people of authority>. I also wish him peace in his heart, as he sometimes gets agitated when reacting to different slanders’, the PO Deputy Jerzy Borowczak said to the media. ‘In almost all his addresses President Walesa emphasizes that he owes everything to Divine Providence, therefore I wish him Lord’s blessing and to always be in such a great mood as today’, said Andrzej Olechowski, former Minister of Finance and Foreign Affairs. Despite the request for guests to refrain from bringing presents and flowers, some did, e.g., Poland’s former Minister of Foreign Affairs Andrzej Milczanowski presented a bottle of cognac to Lech Walesa, while Henryk Wujec a bottle of home-made liqueur. ‘It’s of blackthorn’, explained the former Committee for Workers’ Defence (KOR) activist. ‘The fruit itself is not good at all, while the liqueur excellent’. Sopot’s Mayor Jacek Karnowski gave President Walesa a cypress to plant in his garden, ‘as the tree is tough and resistant to pest’. ‘Just as I wish President Walesa to be’, he added. A large section of the guests followed the desire expressed in the invitation and made some charity donations instead of presenting gifts.